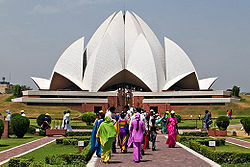 Delhi is an exciting place to visit full of history, culture, and attractions for young and old alike. This destination travel guide is just the tip of the iceberg when it comes to activities but it will get you started when planning a vacation to Delhi. A trip to Delhi would not be complete without a visit to the splendid National Museum. Here you can see rare exhibits including central Asian antiquities, objects from Buddhism, coins, musical instruments, Persian manuscripts, impressive Mughal weapons and many more relics from the last 5000 years in India. 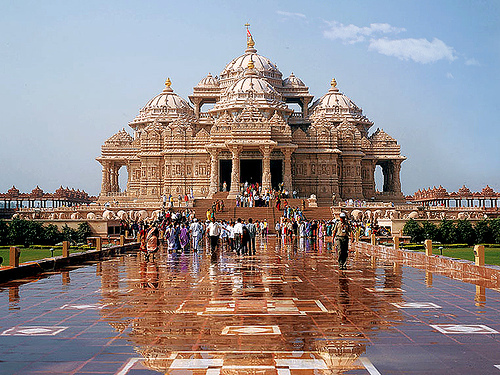 One of the most popular temples to visit is Swaminarayan Akshardham. The temple is set among beautiful gardens and ponds and the architecture is awe-inspiring. As well as fantastic exhibitions you can take a boat trip through a display of 800 statues which outline the heritage of India. Active travelers may want to head to Adventure Island, an amusement park where you will find a host of fantastic rides & roller coasters. If you’re traveling with the family this is a perfect stop with the kids. On Adventure Island you will also find Camp E Adventure, a superb destination for camping and enjoying a range of over 30 outdoor activities from dirt cycling to water zorbing. Whether you visit Delhi for its rich architectural heritage or diverse cultural and family friendly attractions, there is something for everyone to enjoy. I’ve been to India three times and never really visited Delhi, great tips, thinking about going back to India in 2013 and will make sure to explore well its capital. Yeah India is so huge and you gotta pick and choose where you go. Trying to do too much on one trip will take away from the overall experience! You will love Delhi!